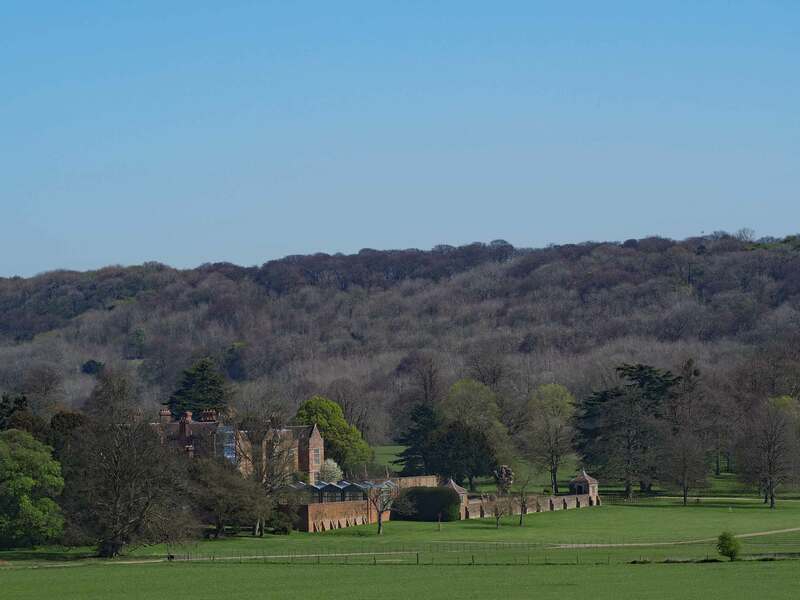 Best Chiltern views | Where Angells Tread! 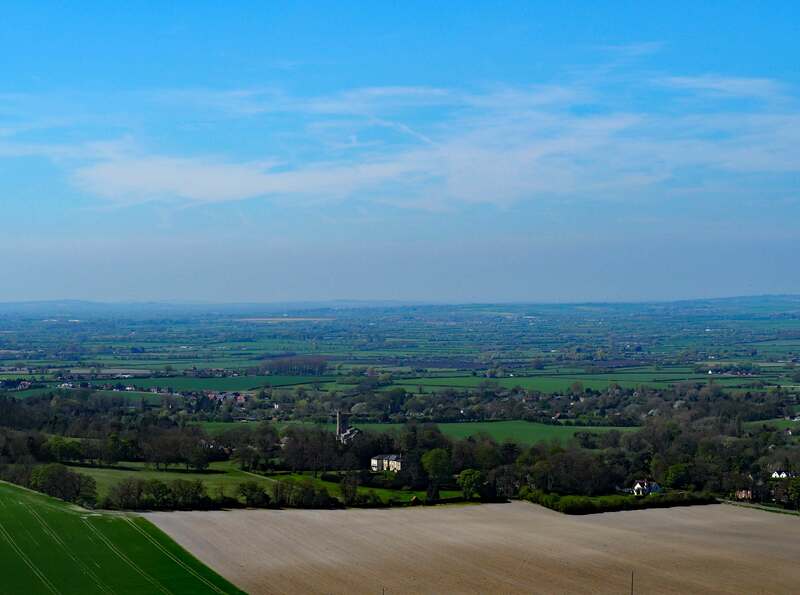 All highly subjective, of course, and depends on the weather…but these are our best views…tells us if you’ve found better. 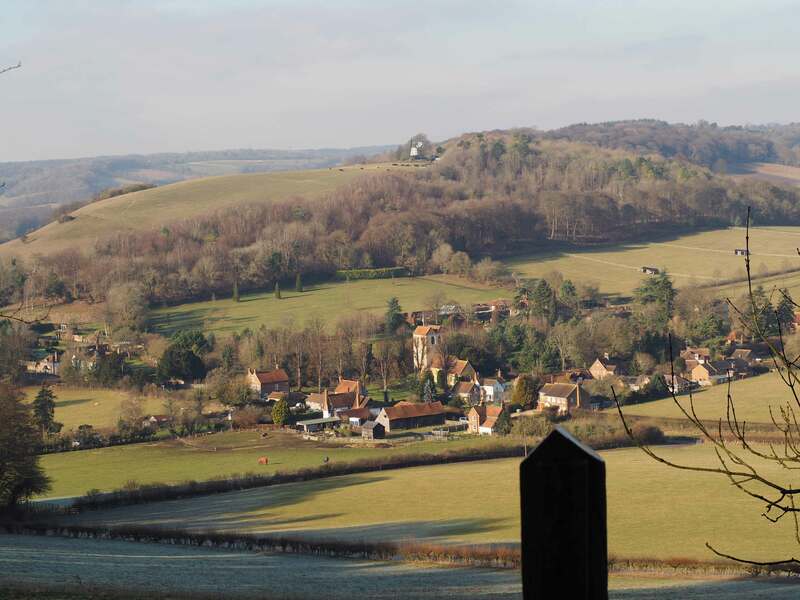 The view at the top end of the Hambleden Valley is one of those views I’d chose if asked to describe the Chilterns; quiet, secluded villages and wooded valleys. This is part of a walk that includes other often photographed views. 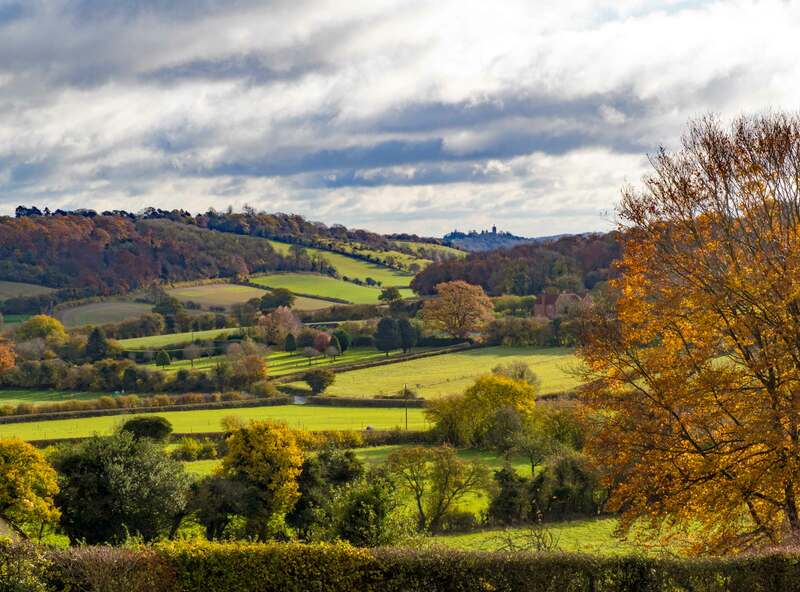 You’ll need to do the walk to appreciate these views, there are no close by car parks. 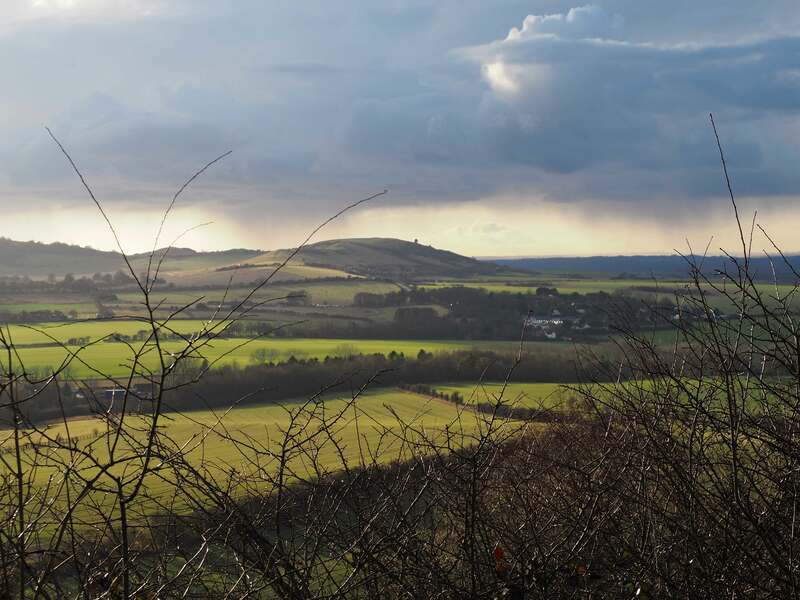 You can drive to the view from Dunstable Downs if you wish. The views across to Ivinghoe Beacon as often punctuated by circling Red Kites. Our walk started at the Bison Hill car park and took in the length of Dunstable Downs but the walk is not obligatory. 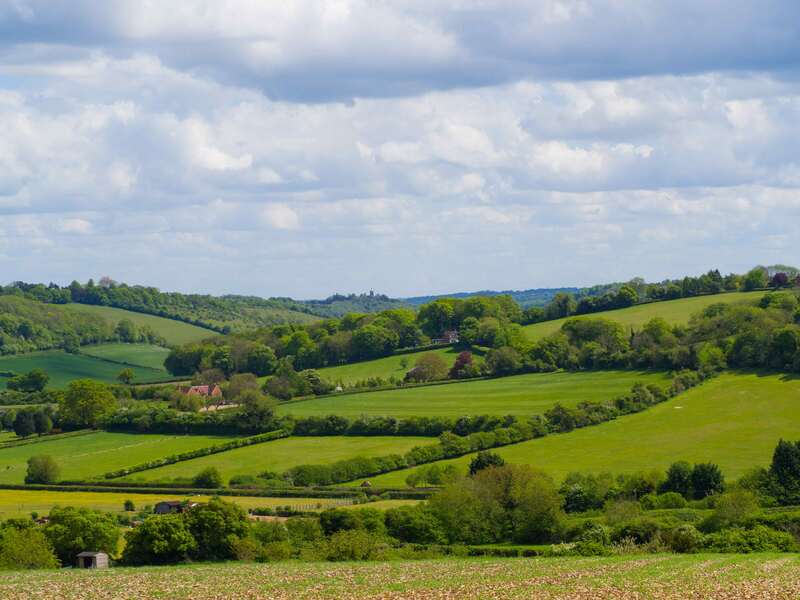 Viewed from a rather unprepossessing field above Radnage, this view is picture-postcard perfect for The Chilterns (Summer & Autumn). It’s a short walk from Town End Road, Radnage but also part of both these walks, here and here. 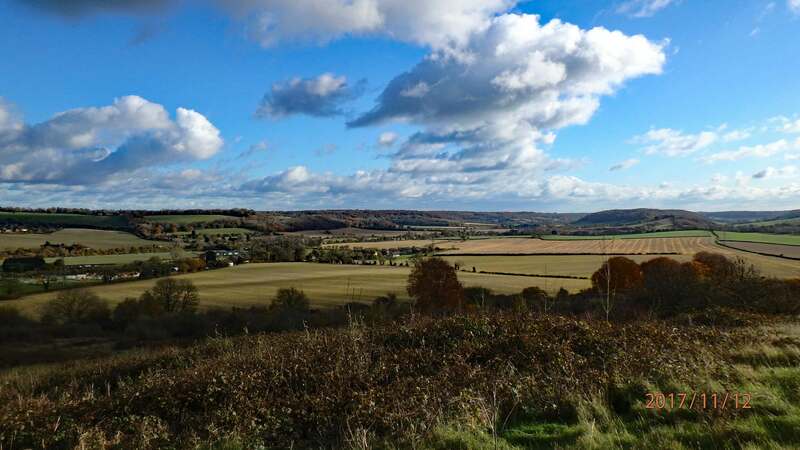 The view from Lodge Hill has been part of several of our walks; here, here, and here. There’s no car park nearby so it’s a short walk from Saunderton Lee. Nevertheless, on a clear day, the view is worth the climb. 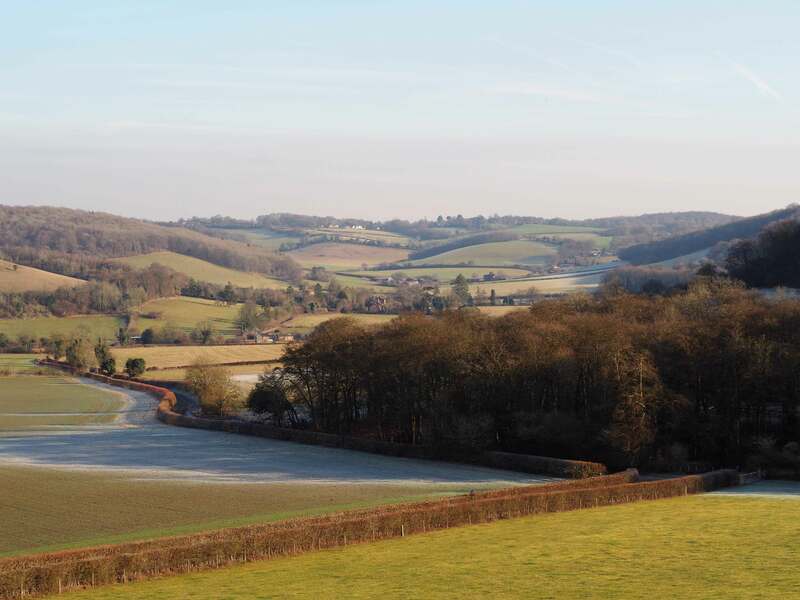 Our last visit was in late autumn and we could see the length of the valley as far as West Wycombe. 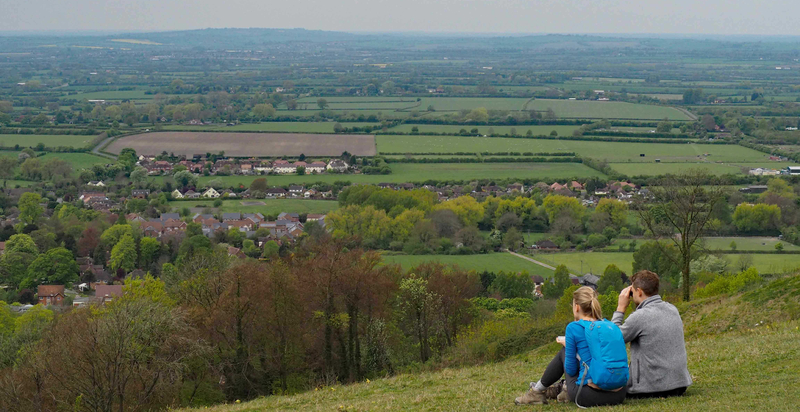 This view can be reached by a 2 minute walk from the car park or, alternatively, if you like to do things the hard way, at the end of a 12 mile walk, taking in Chequers and another view from Coombe Hill. Beware, if you accept the challenge, the final climb up Whiteleaf Hill provides a good cardiovascular work-out.